By measuring the supply and indoor temperatures LK 120 SmartComfort RT regulates the mixing valve to provide the system with the exact amount of heat required in the building at any given time. 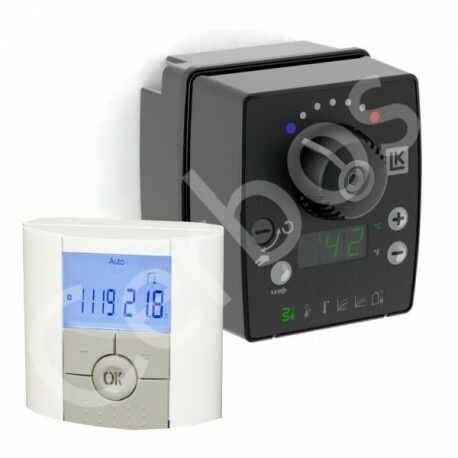 LK 120 SmartComfort RT has an automatic choice of direction to adapt to the direction of the mixing valve. LED-indicators show if the controller is opening or closing the valve. The supply temperature can be limited with a minimum and a maximum value. Symbols on the controller show the chosen function and the LED display shows the setting or value of the function. Adjustments are easily made with the push buttons marked “+” and “- “. LK 120 SmartComfort RT is delivered with a room temperature unit allowing easy setting of the desired indoor temperature. The room temperature unit is with fixed cable. For further energy saving and increased comfort there are nine preset programs with scheduled temperature changes. You can also create your own programs. Additional functions such as holiday and timer settings are available. After a temperature setback the room temperature unit applies a booster function which briefly increases the supply temperature in order to quickly reach the desired room temperature. Should the room temperature unit sense a sudden change in temperature, such as when airing a room, the unit disregards this change for the following half hour. 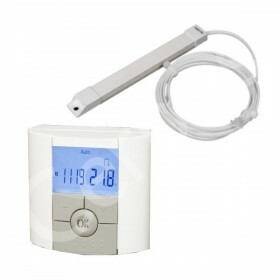 The room temperature unit is equipped with a connection port for external control, such as via a GSM modem, making it possible to activate a preset temperature change via mobile phone. 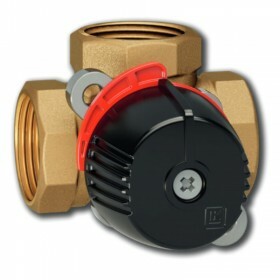 LK 120 SmartComfort RT is easy to install onto new as well as existing mixing valves. 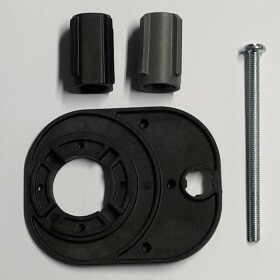 Mounting kits for installation onto mixing valves of other brands are available - see separate page. 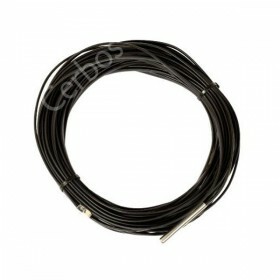 An outdoor temperature sensor is available as an accessory.